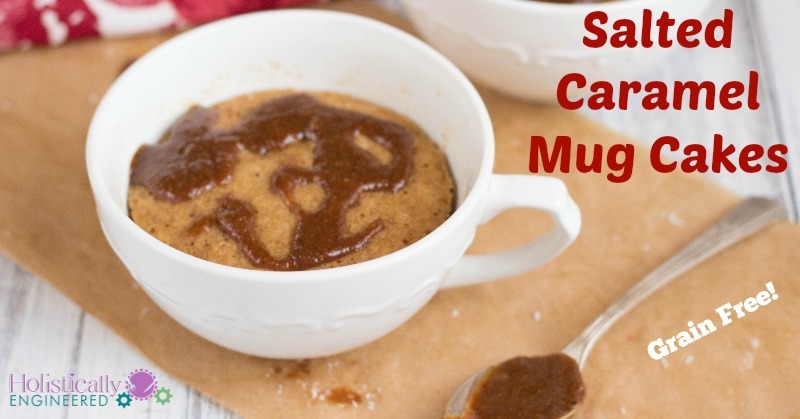 I’m obsessed with desserts in a mug lately. Everything from Muffins in a Minute to cookies. 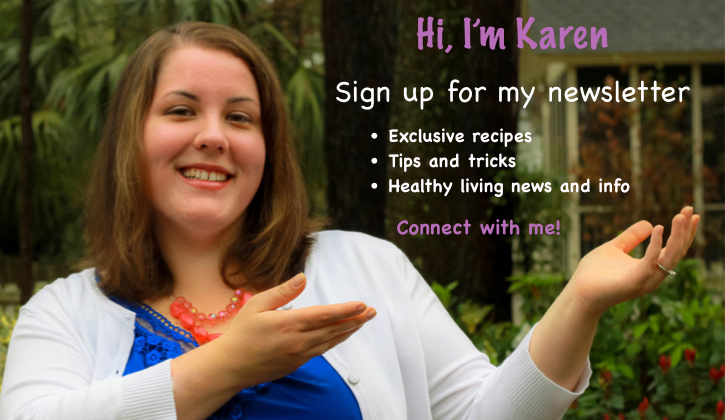 Seriously, have you tried my Grain Free Chocolate Chip Cookie in a Minute? It’s fabulous! Today’s recipe also ties in a popular food trend of salted caramel. I’ve seen it all over the place…especially Pinterest so naturally I needed to create a grain free way to enjoy salted caramel. 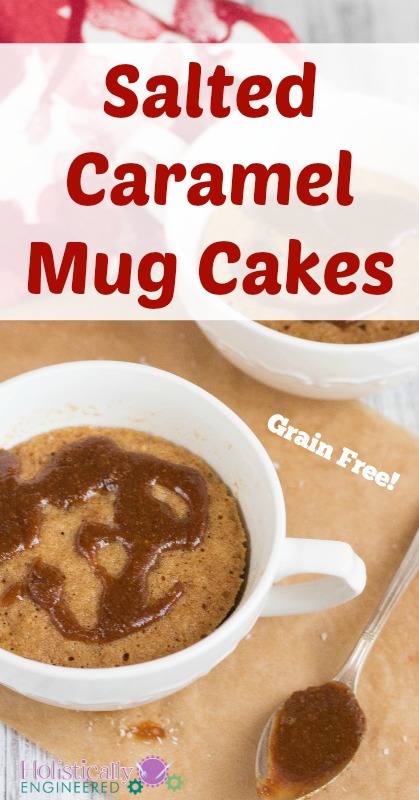 I ended up created grain free mug cakes. It’s ready in just minutes and it has all the flavors of salted caramel…with a lot less carbs. In a small bowl, mix together the ghee (or butter) and sweetener. Add the almond butter, egg, vanilla, and lemon juice until well combine. Add the almond flour, baking soda, and salt and mix to throughly incorporate. Divide the batter evenly into two mugs or ramekins and microwave* for 1 minute 20 seconds (Note: times may vary start with 1 minute and more time up to 1 minute and 30 seconds or until set). Serve topped with butter or ghee. *Optionally you can bake these muffins (in a ramekin) at 350 F for 15-17 minutes or until cooked through. Grease the mug or ramekin with ghee or butter, if desired, to be able to remove the muffin from the mug or serve with a spoon.